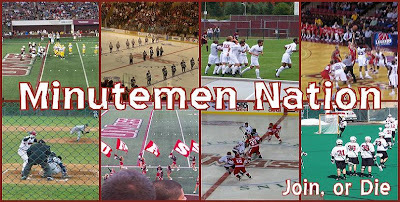 This week we had the opportunity to do a little blog Q&A with Matt Creedon of the UMass blog Minutemen Nation. They asked us a few questions, we asked them a few questions...pretty civilized really. Given that most Michigan fans, myself included, know very little about our week 3 opponent, this was a good chance to get to know the Minutemen a little better via one of their bloggers. You can read my answers on their site. Matt's answers are below. Enjoy! MBN: How big is this game for UMass? MN: In terms of the 2010 season and building confidence, I don’t think this game is as big as it could’ve been. Had UMass lost one, especially both, of their first two games, I think they’d be looking to put on a good show to build confidence for the rest of the season. With a big win over then #4 William and Mary followed by a nice win over a good Holy Cross team, I think the team is poised for a good season. Despite what happens Saturday, the rest of the year will be successful. Looking at the bigger picture, the game gets us a nice paycheck, some national exposure, and makes for a cool experience for UMass fans. MBN: Warren McGuirk Alumni Stadium holds 17,000 fans. Michigan Stadium holds 109,901. How do you expect the UMass players to react to playing in front of such a large crowd? MN: Not to insult Michigan fans but I don’t think the crowd will have any more of an impact than it usually does. It will affect UMass the same way it does Ohio State, Penn State, or Iowa. We played really well last year at Kansas State where they have a 50,000 seat stadium. That was also opening day and KSU fans were pumped for what they thought would be a big season. Final score was 21-17. However, I’m sure the players will be a little bit excited and nervous to be playing in such a historic place like the Big House. MBN: You guys are 2-0. Is this season going better/worse/as planned according to most UMass fans? MN: A lot better than we thought. We had a number of talented guys last season who are now in the NFL (Vlad Ducasse, Jeremy Horne, and Victor Cruz who you’ve probably heard of) and still finished with a disappointing 5-6 record. Expectations weren’t high coming into the season. Last year was head coach Kevin Morris’ first season with UMass and he didn’t impress many people so he was close to being on the hot seat. We were also worried about QB Kyle Havens but he has been very, very good so far. We beat #4 William and Mary to open the season and then easily beat a good Holy Cross team last week and we currently sit at #16 in the FCS polls. MBN: Ever since 2007 when Appalachian State knocked off #5 Michigan at home, FCS teams have used that as motivation when playing FBS schools. A total of 6 FCS schools have beat FBS teams this year alone. Does UMass think they have an honest shot at being the 7th? MN: I would hope the team thinks they can beat Michigan. Granted we are not as good as App State in 07. I know it was a big upset but a lot of people don’t realize how good that team was. They could’ve beaten a number of FBS teams. We’ve played well so I’m sure the guys think they can come out and put up a fight. MBN: FBS schools schedule FCS schools because it's basically a "bought" win. Do you agree with this practice? MN: Don’t agree. Don’t disagree. 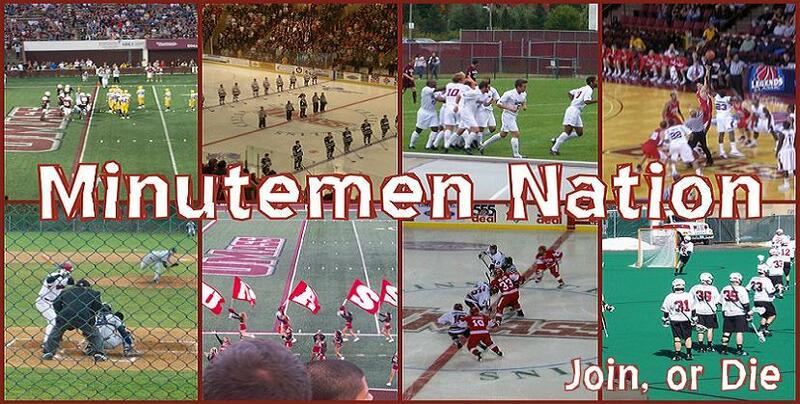 UMass will get some money (which we need) and people will see our name on ESPN and the Big Ten Network. Would I rather have us playing a conference home game this week? Yes. But it will still be cool to watch guys who I see walking around campus playing on national TV in such a historic place like Michigan Stadium. If I was a fan of a top FBS team, I’d rather see my team play a more competitive game. MBN: How does UMass stop Denard Robinson? MN: They don’t. How will they try? My guess would be to keep linebacker Tyler Holmes on him and blitz a lot. MBN: What is your biggest strength? MN: Our running game is definitely our biggest strength. We have two great running backs in Jonathan Hernandez and John Griffin. Combined they have five touchdowns in two games. They pretty much split the carries 50-50. Hernandez has 40, Griffin with 39. Of course when I say these guys are great, I have to remember who we are playing. Compared to some of the guys you’ve seen over the years, they will be nothing. Still, they are a threat and should be Michigan’s focus on defense. Our offensive line is great too which boosts the running game. MN: Stupid penalties. I don’t know what’s going on but the team is committing dumb penalty after dumb penalty. UMass was called for 11 penalties last week which added up to 104 yards. In total UMass has been called for 19 penalties. Of the top of my head, I think four or five have been personal foul, after the play type stuff. MBN: Finally, how does UMass win this game? MN: Denard Robinson gets hit hard and can’t find room to run. 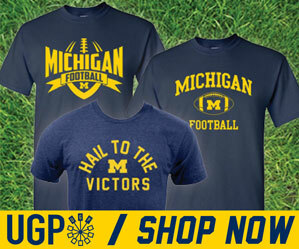 Our running game is at the top of its game and Michigan can’t stop the Hernandez/Griffin duo. We take an early lead, build confidence and play smart football. You can decide for yourself how reasonable those scenarios are.